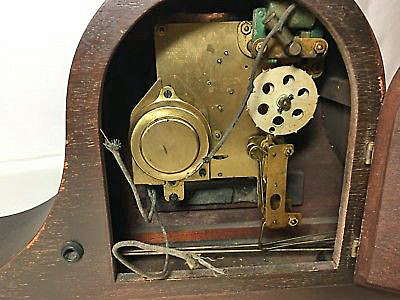 See Postal Telegraph Wall Clock for their clock motors. 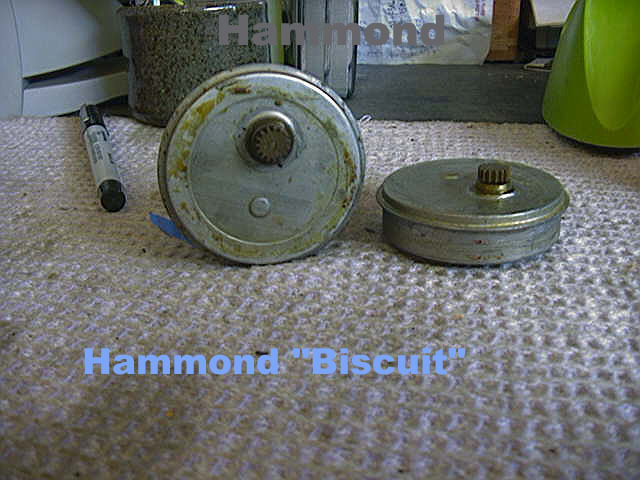 Hammond Synchronous Clock Motor (Rotor). brass pinion (gear). 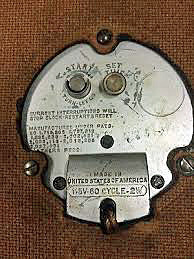 Hammond produced clocks from 1928 to 1941.
see Postal Telegraph Clock for the cost and Hammond movements I do and don't work on. expedited service then it doubles to $600.00 plus shipping. for the replacement service. I can ship at that price for clocks up to 22" long ($260.00 total). of the wires and see if you get a reading. reading what-so-ever then the motor's coil is dead and you will need a coil as well. the replacement coil, a 2-year warranty on each and return shipping in the US. directly above) and used a coil to generate an eletro-magnetic field that would drive an internal disk. include the coil ($100.00), so that would be added to the cost of the overhaul, if needed. with shipping increasing to $150.00 in order to cover the additional labor and shipping costs ($450.00). entire clock, then it’s my problem and not yours. Another possibility is that an older Sessions that two electrical "motors" from one power source. a motor but it is in fact a rotor (semantics). all others have a motor or disk and were make in the 1930’s. 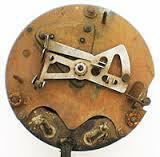 Hammond produced clocks from 1928 to 1941.
relatively short turn around time. coil, if the need should arise, with the same wattage considerations. A # 60 or # 14 Telechron coil work well. Created in December of 1995 and last updated January 01, 2019.